Pelosi makes $223,500 a year as house speaker and did not respond to questions about whether she was accepting pay during the partial government shutdown, according to a Washington Post story Jan. 7. 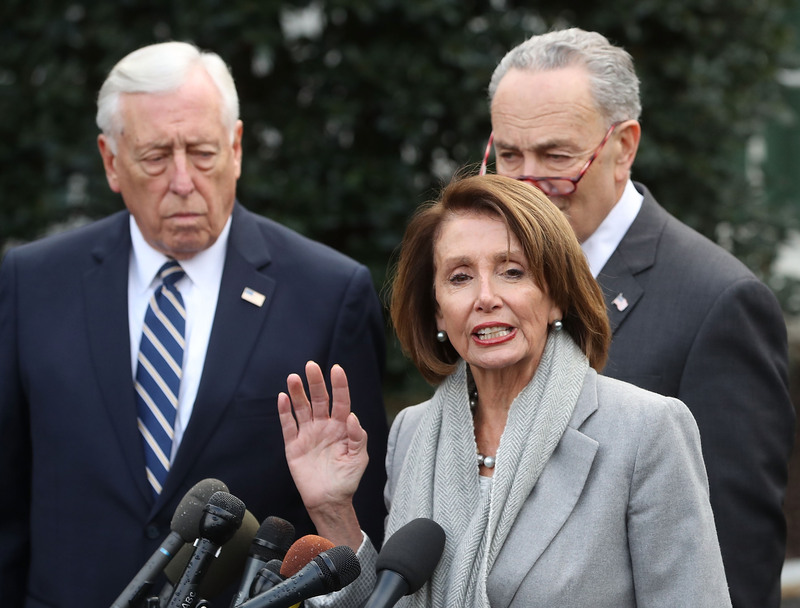 Congressional leaders besides Pelosi also dodged questions about taking pay during the shutdown. House Majority Leader Steny Hoyer and House Minority Whip Steve Scalise did not reveal their plans to accept or refuse pay during the partial government shutdown as of Jan. 7, according to WaPo. House Minority Leader Kevin McCarthy will refuse pay during the shutdown, reported NBC News Friday. Some lawmakers have introduced legislation to change how future shutdowns affect lawmakers and federal employees. For example, Republican Montana Sen. Steve Daines introduced a bill Thursday to withhold the pay of members of Congress during future government shutdowns.